Visualize the chessboard and win more games. A famous chess coach said: "Don't think about the pieces being exchanged, visualize how the board will look when the pieces are gone". Move a piece and you affect two places. But it's illegal to physically move the piece and see the effects -- you must learn to visualize. Chessvis is designed to help with that process. 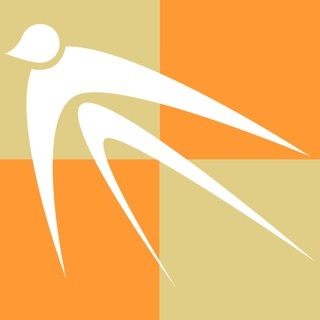 The objective of Chessvis is to improve your chessboard visualization skills. 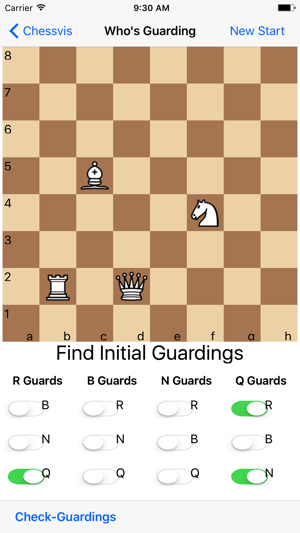 Tactics & Mates - Interactively solve tactics and mate puzzles. This includes a unique "Back it up" feature to improve your visualization skills. 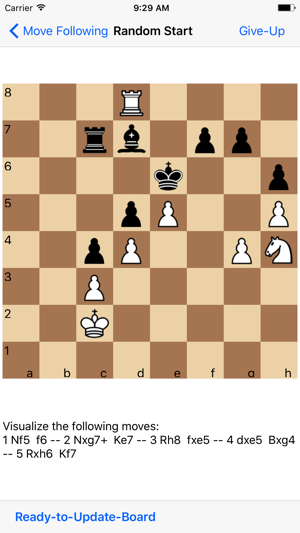 The program presents a tactic or mate problem but shows the diagram from some number of moves before the actual tactic or mate sequence starts. You're provided the "backed up" moves in order to visualize them and then solve the problem from a board position that exists only in your mind. Move Following - Track a sequence of moves and then update the board to that point. Follow a game from the beginning, some random location within a game or specify the number of pieces you want to follow. Again, it is about building up the "memory muscle". Who’s Guarding Whom – An interesting exercise to mentally track piece movements and how they interact. Static Boards - Look at and memorize a board layout, then recreate it. Not easy, but you control the number of pieces so the idea is to build up the "memory muscle". 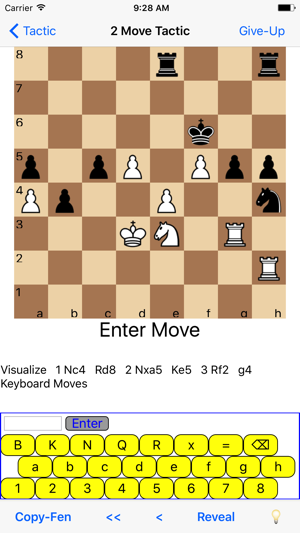 Chessvis 1.4 shows mates and tactics are shown from both white and black's perspective. Mate and tactic solutions can now be reviewed by single stepping forward and backward through the solution. 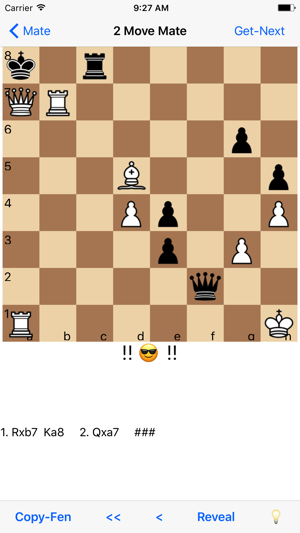 And when exploring the mate or tactic, the opponent's move is no longer automatically made. You will be told and shown the best opponent move but you are free to test out other moves. Still exploring this app, but so far it’s looking like a good one. Not the prettiest interface, but that’s not important at all in my opinion. 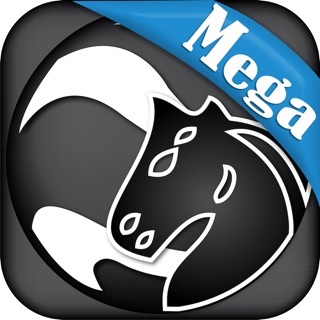 It’s set up well, has a wonderful amount of content for a free app, and covers all the bases. It’s also one-of-a-kind in the App Store for chess visualization as far as I can tell. Great stuff, thank you! Can finally hone my craft without hauling a book with me. © 2017 Conceptual Software, Inc.